Where are you going to stay in Prague during your Czech getaway? Here is a comprehensive summary of Prague’s districts, so you can find your accommodation! Situated just 1 hour and 45 minutes by plane from London or Paris, the Czech capital is waiting for you with open arms. One of the most popular cities in Europe and home to countless architectural gems, Prague boasts a rich historical and cultural heritage, coupled with a vibrant atmosphere. 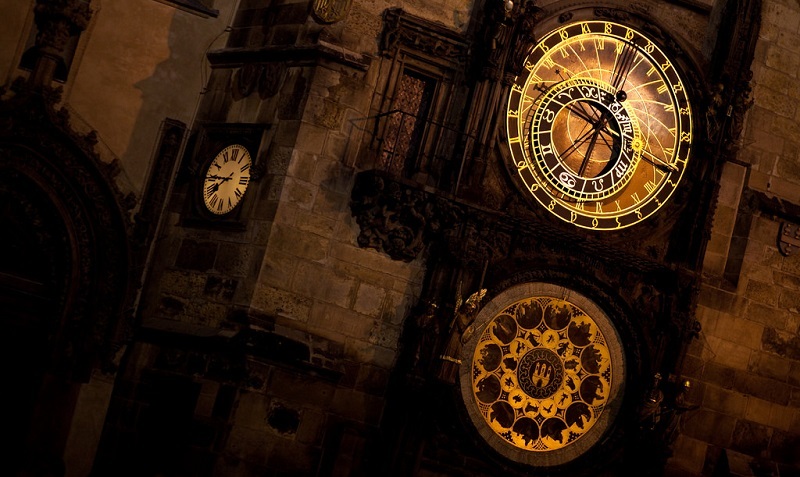 If you are a farsighted person, you will have been scratching your head for days, wondering where to find the best place to stay in Prague, somewhere you’ll be sure to have a great trip. Whether you’re travelling alone, as a couple on a romantic holiday, with your family, or among friends having some fun – which are of course not mutually exclusive options – we recommend that you book your accommodation in advance, at least for your first night. 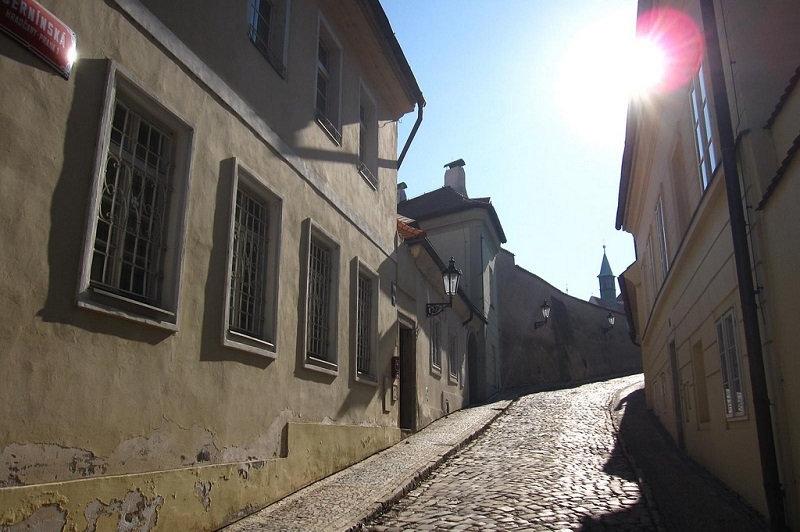 Prague’s dozen neighbourhoods each have their own story and their own kind of atmosphere. Packed with hotels, hostels, serviced apartments, and Airbnb rentals, they offer a myriad of solutions to find somewhere to stay in Prague. 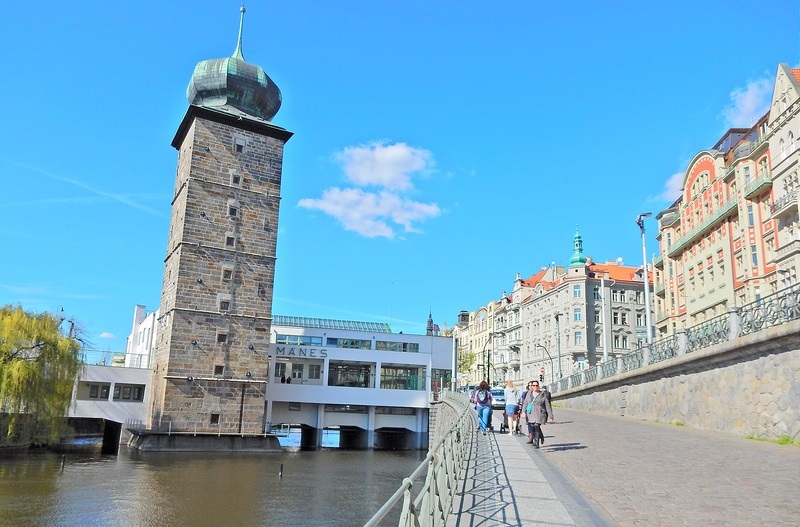 This north western district, on the left bank of the Vltava, is Prague’s must-see area. For starters, the area is home to Prague Castle, Prague’s most famous and majestic edifice overlooking the entire city. Prague Castle is a little bit like the Eiffel Tower in Paris: an unmissable landmark which can be seen from everywhere. Once the home of the kings of Bohemia, the emperors of the Holy Roman Empire, and the Presidents of Czechoslovakia, Prague Castle is today the official residence of the President of the Czech Republic. The Hradčany district is perhaps one of the most touristic areas in Prague. Welcoming a constant stream of visitors, the city hardly goes through a low season, and even winter has its peak periods. Wander along Hradčany’s winding cobbled lanes towards the river, where you will find numerous souvenir shops, three churches, a monastery, a cathedral, and high-end hotels. Like many tourist areas, it is crowded in the afternoon, but deserted in the evening and at night. This area is ideal if you are looking for a comfortable hotel to stay in Prague, but not the best choice if you’re travelling on a limited budget, as it’s a fairly expensive neighbourhood. 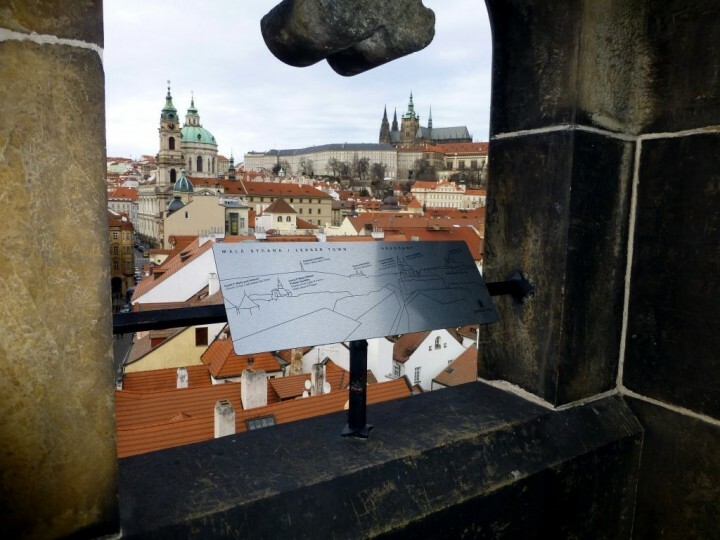 It doesn’t feel like you are in the heart of a European capital, but rather in a small village when you visit the Malá Strana district, commonly referred to as the “Lesser Town” of Prague. Here, embassies and luxury hotels sit next to gourmet restaurants and cute cafes. Pleasant little parks are scattered throughout the neighbourhood, offering an ideal setting for those who wish to take a break and relax. The district is central, and most of Prague’s interesting sights are within walking distance, which means you won’t be using the bus, metro or tram much – even though public transport is cheap in Prague. 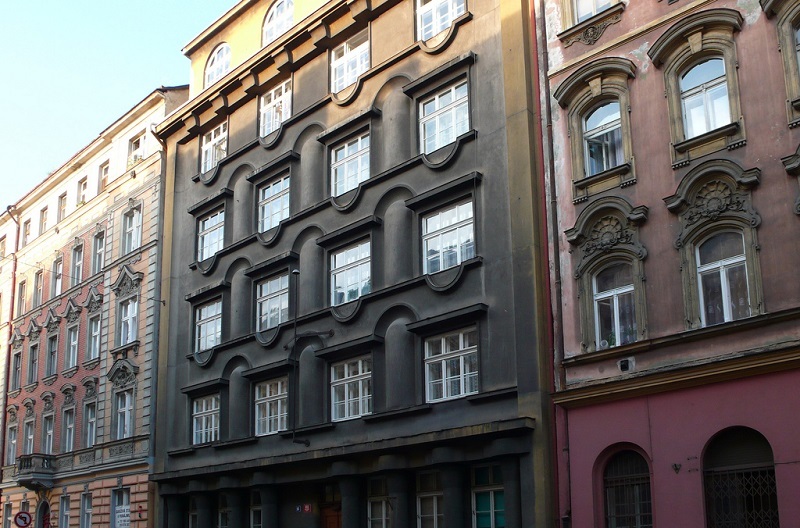 On the quays of the left bank, you will find a museum dedicated to the writer Franz Kafka. If you decide to stay in Malá Strana, plan a mid to high budget, as there are fewer hotels here than elsewhere. 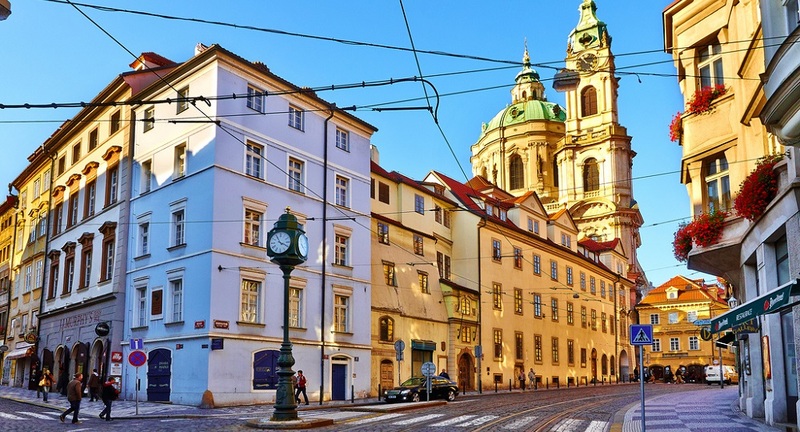 These two districts are the heart of Prague’s old town. Nestled on the right bank of the Vltava, the historic centre houses some of Prague’s most interesting landmarks to visit. Infused with history and culture, the area is a great place to embark on a culinary adventure or simply wander lazily through the cobbled streets of the city centre. 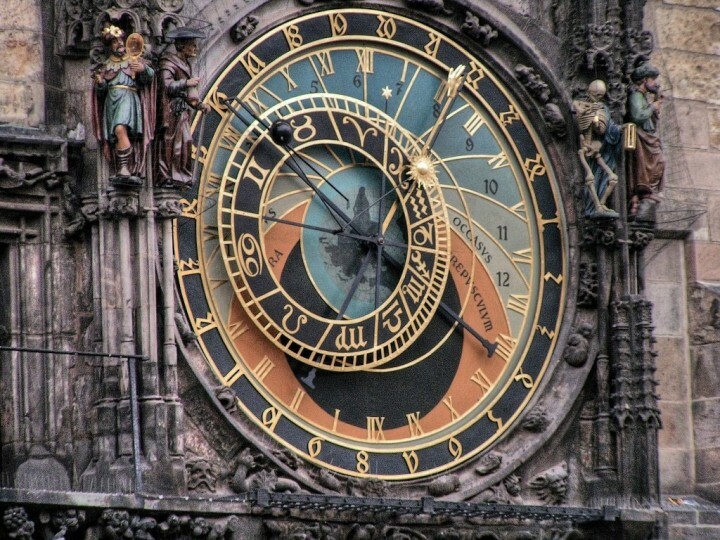 The area is home to Prague’s Astronomical Clock, Josefov (the Jewish Quarter), as well as stunning façades blending Renaissance, Gothic and Baroque architectural styles. Journey through the centuries from the Middle Ages to the present day, passing through the Habsburg Empire and the atrocities of the Nazi occupation. One of the city’s most famous landmarks, don’t miss the magnificent Charles Bridge, the symbol of Prague found on all postcards and travel photos. In the evening, you will enjoy the area’s many bars and clubs, which are open till dawn. A unique blend of tradition and modernity, and a popular haunt for both partygoers and tourists, the old town is a contrasted neighbourhood. This lively area is suitable for all budgets and for all travellers looking for a place to stay in Prague, featuring a wide range of accommodation options, from cheap hostels to upscale 5-star hotels. Sandwiched between Prague’s central train station and the old town is Prague’s Nové Město (literally: “New Town”) district. Yet the area is not exactly “new”: the use of the phrase “new town” dates back to its foundation in 1348! Nové Město houses quite a few designer hotels and contemporary restaurants. To the south, you’ll come across a rather quiet ambiance. This district offers a good compromise between the bustling city centre and a residential area: it’s less busy yet not extremely quiet either. Stroll across Charles Square, the largest square in the Czech Republic, or Wenceslas Square, but beware: the nightlife in this area is as lively as evenings in the old town. Packed with hotels, hostels, youth hostels, and more, Nové Město is the area with the widest range of accommodation options. Moreover, the rates are mid-range. You’re sure to enjoy yourself here. East of Nové Město is the residential area of Vinohrady – an area appreciated by expats for its tranquillity, its proximity to the city centre thanks to public transport, its parks, Art-Nouveau buildings, restaurants, nightclubs, bars, and cafes which attract a cool, artsy, and hipster clientele. This quiet neighbourhood, located far from the hustle and bustle of the old town, has gained much popularity in recent years. Perched on a small hill, the area overlooks the the district of Staré Město. You will easily find peaceful green spaces in the area, and your children will enjoy playing in the playgrounds and parks bordering the tree-lined avenues. Featuring high-quality accommodation, and infused with a pleasant and relaxing atmosphere, this area is ideal for a family holiday. A little further east, towards Žižkov – the former working-class district of Prague – accommodation is even more affordable. 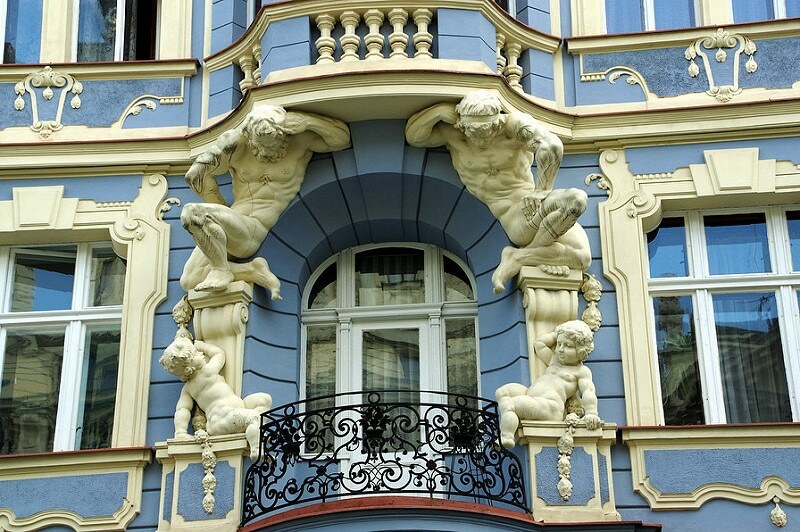 Situated north of the city of Prague, Holešovice lies on the meanders of the Vltava. Packed with many youth hostels, it is THE neighbourhood for backpackers. Here you will find the Prague Exhibition Centre, Prague Zoo, and Trója Castle. If you decide to stay in this area of Prague, be sure to visit the nearby Letna district featuring a huge park enjoying stunning views of Prague Castle, Staré Město, and the Vltava. Artists and locals have imaginatively refurbished the old disused factories, opened trendy cafes, and transformed the area into a hub of contemporary art, driven by important cultural and artistic centres such as the Museum of Modern Art and the Contemporary Art Centre. Featuring a plethora of youth hostels, Holešovice is a great area to stay in Prague and mingle with the locals on a low budget. I love Prague. I was there 2 times and would like to visit there more often. Beer and beautiful streets, that’s what attracts me!